Impact drivers are becoming increasingly available and are useful tools to have in your site toolkit. As a restorer, I was introduced to them for disassembly. They are especially good for removing stubborn rusty screws. 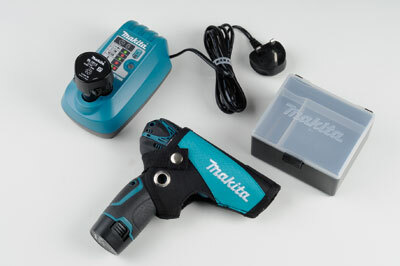 If you buy a naked one with the same voltage batteries as your main Makita drill then you can just pop on the appropriate battery when you need it and save yourself the cost of extra batteries and charger. One of these little drivers can save you hours struggling with recalcitrant screws. The principle is simple. In the old days we used to whack a screwdriver whilst turning the screw. Bang, bang, bang, turn, turn, turn and out the screw would come! Well, sometimes it was that simple. These impact drivers do all the whacking for you. The little TD090D gives you a maximum of 3,000 impacts per minute; there is no way you could do that with a hammer which no doubt is why these little tools are so successful. The TD090D is slightly different to its bigger brother the BTD140Z. 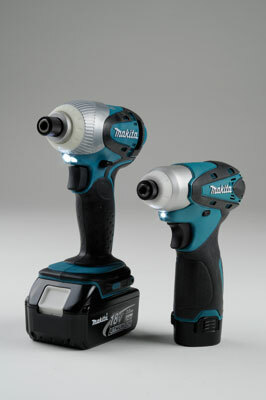 The smaller drill is only 10.8v, so you cannot buy a naked one of these. The merit of this item is the fact that the centre line of the bit holder is only 25mm away from the body and the entire body is only 160mm long. It has great accessibility. Like its big brother it has Li-Ion batteries which are powerful but small, so the driver is very well balanced. The bigger 18v BTD140 series has slightly more power as you would expect, and weighs 1.5kg. Both drills come with built in work lamps which is a nice touch. Of course they have moulded boxes and even a space to store all the different bits you might need. Although I didn't have them in for testing both the 12v and the 14.4v systems also have similar body-only impact drivers, so whichever system you have there is one for you. These are well thought out, comfortable, powerful and robust. Frankly it's a 9 1/2 out of 10 for these drivers. "These are well thought out, comfortable, powerful and robust"